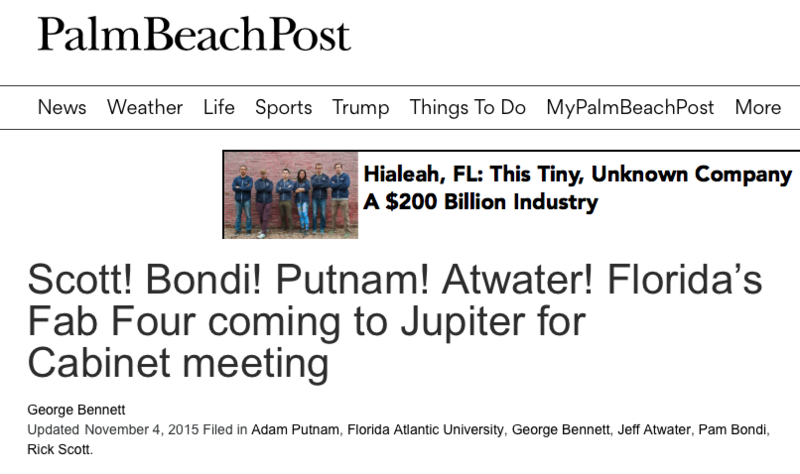 In early 2013 FAU Dean Heather Coltman, under the direction of FAU’s upper-level administrators and lawyers, requested that Tracy submit his blog to the university for FAU’s editorial approval. 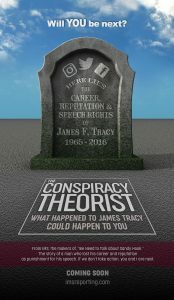 Tracy responded that the blog constituted the nonprofessional free speech activity of a private citizen, and that such a request was effectively a prior restraint. Fearing they might in fact violate Tracy’s First Amendment rights, shortly thereafter FAU administrators disciplined the tenured professor for not having a “disclaimer” to their liking on the site’s main page. Three years passed. Then, on the exact same day as Scott’s November 10 visit, FAU again requested both current and retroactive paperwork for Tracy to continue operating his personal blog. 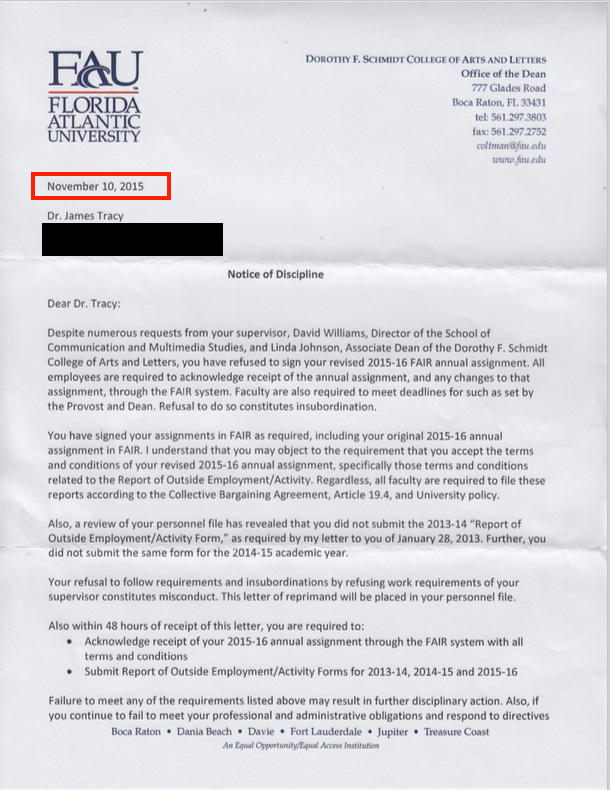 FAU, a States of Florida entity that receives massive federal aid and thus must abide by the US Constitution, argued that Tracy was terminated because he “failed to file paperwork” with FAU to operate MemoryHoleBlog, purportedly violating FAU’s “outside employment policy” based on Florida Statute 112. 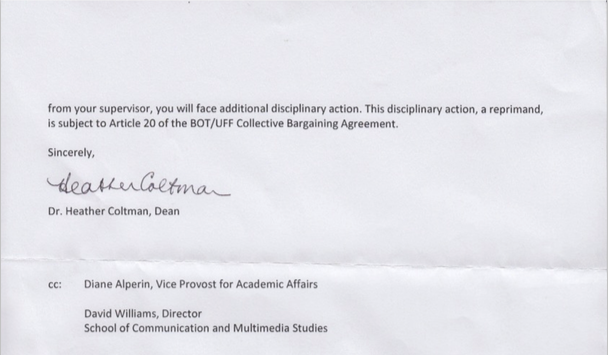 They singled out Tracy for the alleged violation despite the fact that plenty of other FAU faculty freely operate blogs and social media accounts on their personal time yet never fill out such forms. 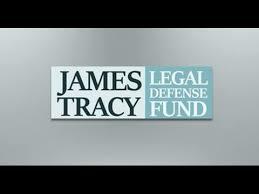 After Tracy filed a federal civil rights suit against FAU and specific administrators involved in the firing the state university defended itself along these very lines by forking over one million dollars to high priced corporate attorneys at Florida taxpayers’ expense. Could the timing of Tracy’s termination proceedings be a coincidence? Perhaps, yet Tracy’s firing also preceded the highly questionable mass shooting event at the Pulse Nightclub in Orlando Florida by a mere six months. Competent analysts including former CIA officer Robert David Steele have concluded that the “Pulse shooting” was likely an emergency drill produced by federal agencies under the Obama administration. If so, such an event must have been conducted in coordination between said agencies, Governor Scott and Orlando area law enforcement. Below we find the staff of the Orlando County Sheriff’s office making light of the purportedly greatest mass shooting in American history less than one month after its occurrence. Odd behavior indeed. 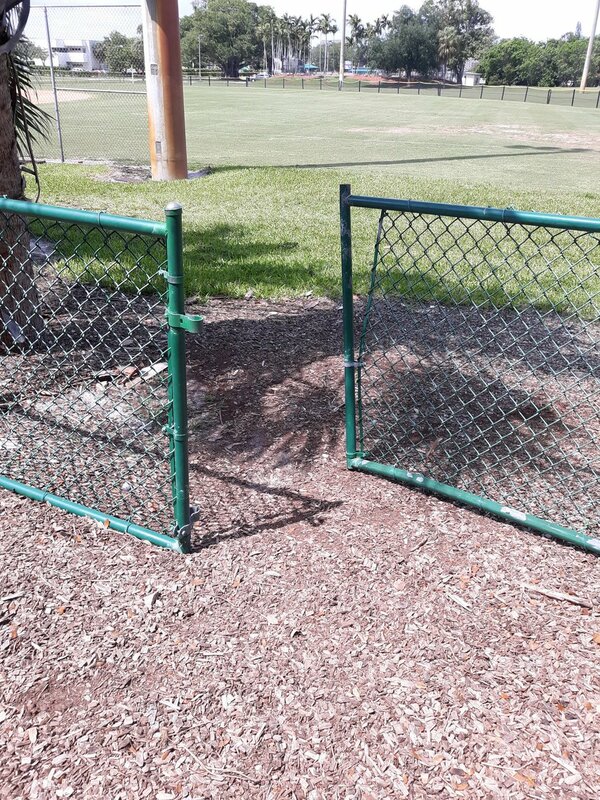 On February 14, 2018 while Scott was still Florida governor the highly suspect shooting at Marjory Stoneman Douglas High School in Parkland Florida was carried out. 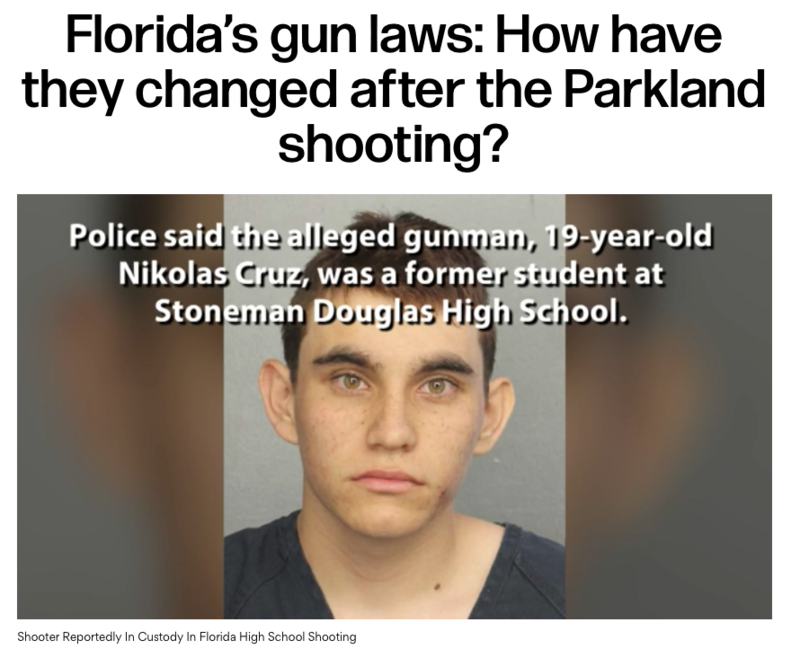 Within hours the event was seized upon by Democratic National Committee operatives including Debbie Wasserman Schultz and Barack Obama himself, to push their gun control agenda that resulted in further restrictions on Floridians’ Second Amendment rights. Just three weeks after the event Scott signed the Marjory Stoneman Douglas Public Safety Act into law. After corporate attorney G. Joseph Curley successfully defended FAU against Tracy’s civil rights suit in a flawed court process. Governor Scott awarded Curley with a state judgeship. 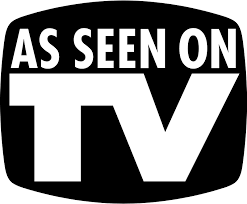 As many readers of this blog are aware, the lower court’s legal and procedural decisions are presently before the 11th Circuit Court of Appeals. Gunster Law’s G. Joseph Curley speaks to the press following Dec. 2017 TracyvFAU trial. 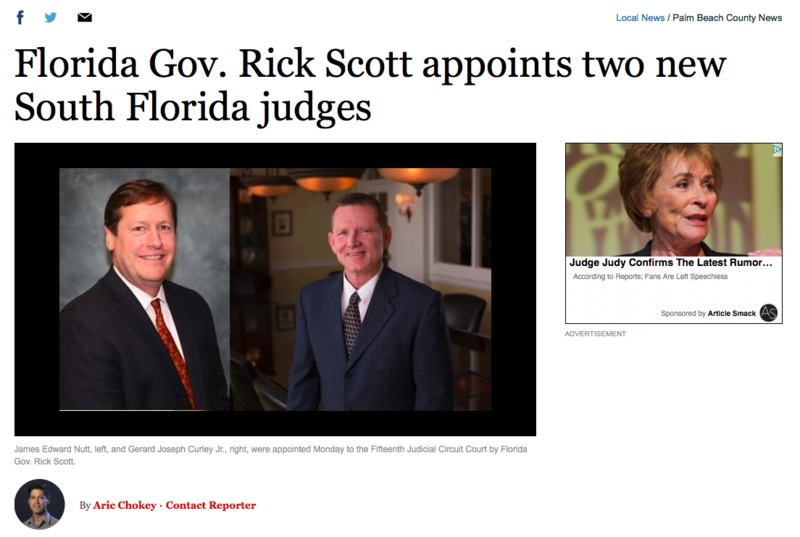 Hours later Rick Scott awarded him with a state circuit court judgeship. Less than two hours after corporate attorney Joseph Curley won a jury verdict for FAU Florida Governor Rick Scott granted him a coveted judgeship. Rick Scott is now running for longtime Florida Democratic Congressman Bill Nelson’s US Senate seat. One has to seriously ponder whether Scott isn’t simply yet another authoritarian, gun-grabbing Democrat in Republican’s clothing. 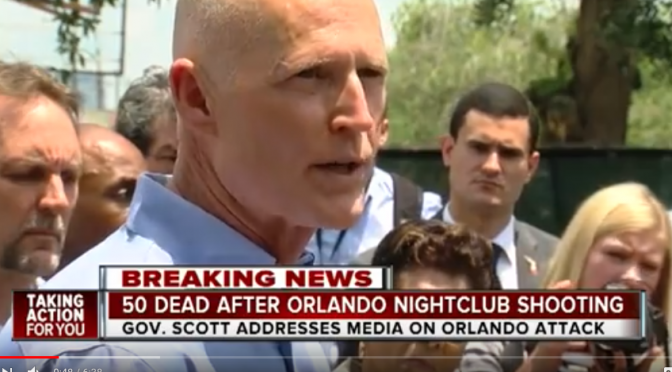 Scott’s attempt to defeat the First Amendment in TracyvFAU and “play” the public via two highly questionable mass shooting events are two very serious reasons to question his honesty and integrity. “ Richard Lynn Scott (born December 1, 1952) is an American businessman and politician. Since 2011, Scott has served as the 45th Governor of Florida. 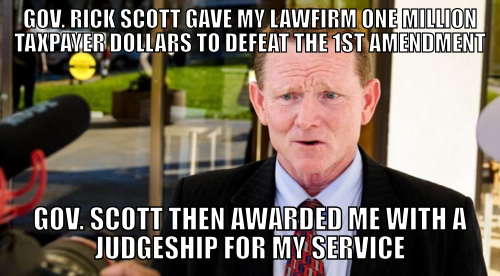 Born in Bloomington, Illinois, Scott is a graduate of the University of Missouri, Kansas City, later receiving his law degree from Southern Methodist University’s Dedman School of Law. In 1987, after serving in the United States Navy and becoming a law firm partner, he co-founded Columbia Hospital Corporation. Columbia later merged with another corporation to form Columbia/HCA, which eventually became the largest private for-profit health care company in the United States. Doesn’t this well documented article raise serious questions about how this trained lawyer, presumably an expert in the law or at least with many other of the roughly 1.3 million lawyers available to him for expert advice, would deliberately defraud Medicare? If all this is true, shouldn’t he have been jailed instead of allowed to pay relatively trivial fines? “SAN FRANCISCO – Charlie Liteky, an Army chaplain in Vietnam who won the Medal of Honor for rescuing more than 20 wounded men but later gave it back in protest and became a peace activist, has died. Longtime friend Richard Olive said Liteky died Friday night at the Veterans Administration Hospital in San Francisco. He was 85. The Army awarded Liteky the highest military decoration for his actions on Dec. 6, 1967, when his company came under intense fire from an enemy battalion in Bien Hoa province. Despite painful wounds in the neck and foot, Liteky carried more than 20 men to the landing zone to be evacuated during the fierce firefight. He left the priesthood and in 1983, married former Catholic nun and peace activist Judy Balch in San Francisco. His wife introduced him to refugees from El Salvador, “teenagers, whose fathers had been killed and tortured. 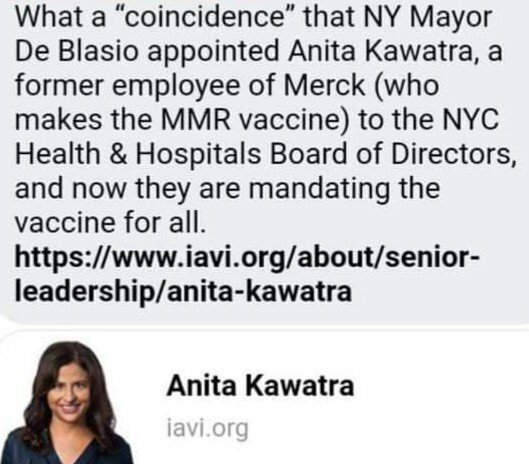 I didn’t believe it, but I kept going to more and more of these meetings and it became clear these people weren’t blowing in the wind,” Liteky told the San Francisco Chronicle in a March, 2000 interview. Twenty years after his heroic actions in Vietnam, Liteky left the Medal of Honor — awarded under the name of Angelo J. Liteky — and a letter to President Ronald Reagan at the Vietnam Veterans Memorial in Washington in protest of the country’s foreign policy in Central America, where U.S.-backed dictators were fighting bloody wars against left-leaning rebels. 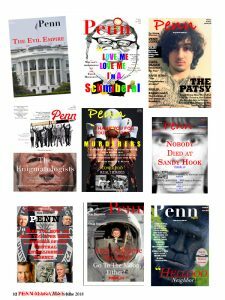 After that, Liteky spent years protesting against the U.S. Army School of the Americas, an academy at Fort Benning, Georgia, where the U.S. Army trained soldiers from Central and South America and the Caribbean. He was sentenced to one year in federal prison in 2000 for entering the school without permission and splashing its rotunda with their own blood. In 2003, he traveled to Baghdad with other peace protesters to bear witness to the war and work with children in an orphanage and at hospitals. Olive said Saturday he remembers Liteky for his humility. “It was three years after I met Charlie and bonded a fast friendship that I learned he was a Medal of Honor recipient” when Liteky told him about his plans to renounce the medal, Olive said. By the way, this giant American Hero was a graduate of the 1949 Class of Robert E. Lee High School at Jacksonville, Florida! He demonstrated the same traits of honor, valor and courage as the former giant American Hero General Robert E. Lee demonstrated about a century earlier in the totally illegal Civil War conducted by unindicted war criminal Dishonest Abraham Lincoln. General Robert E. Lee was and is considered one of the greatest generals of all time. Dishonest Abe had zero legal authority to kill upwards of 1 million and destroy and plunder billions of dollars of property and land by the psychopath General Sherman and Drunk General Grant. This was also the first ratcheting up of federal power against all the good efforts and intentions of the Founders. This illegal war was and still is a disgusting shameful disgrace. Most of the current crop of gutless cowards running the South today have totally sold out their great heritage and allow the former monuments to courageous giants like General Robert E. Lee to be vandalized by common ignorant street thugs today. “..Imaginatively, this shift from ‘increasing’ to ‘decreasing’ seems to be based on an insignificant fall in the calcification rate in some of the mid-shelf reefs in the last two years of the 65-year dataset. Jennifer Marohasy is working on rainforecasting using artificial intel algorithms where reliable statistics are important. The following document overviews the edits and deletions in official data used to exaggerate temperature changes over a century in Australia ten times.